Just got a box of these from Cigar Terminal. Box date Nov. 2017. Smoking very good right upon arrival. Wrappers are near perfect--silky, soft, and smooth. I have smoked many of these over the years and they rarely, if ever, disappoint. 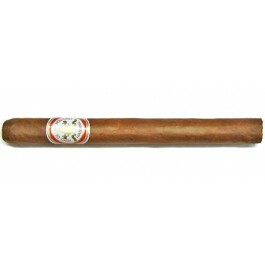 Hoyo is a brand that seems to deliver consistency throughout it's entire line up, and the Double Corona is no exception. Having had time to smoke a few of these since arrival, the only nit, and it's perhaps more than just a nit, is the uneven burn. Mine usually require a touch up or two while smoking. That said, it's a big coat and worth a little extra effort--especially since the flavor is so good throughout the cigar. Given the size of these, and how great they taste, I have to say this is one of the best values out there at $12-$15 a stick. This is my first box of these and I am very pleased. The construction of these cigars is virtually flawless- with the exception of one cigar that burned unevenly and began to unravel the others I have smoked out of my box have been perfect. A 5-Star cigar but I docked a star due to the straggler that fell apart on me. The flavor is even throughout the cigar and I would actually consider this one of the milder Cubans that I have smoked. With that being said, the flavor is still classic Habano: grassy with hints of nut and coffee. Each puff is as good as the last. Leave yourself a good 90 minutes to enjoy this with your favorite libation and some friends. You will be eager to do it again tomorrow! Very firm draw but overall great smoke, very flavorful and well balanced. My favorite Hoyo by far just smoked my last one out of two boxes everyone perfect from beginning to end. I just ordered my 7th box of these today. The Double Corona never disappoints. I've had some of the best cigars in the world and this one ranks right up there with the best of them! Starts of with that classic Cubana flavor, and it gets better through the final two thirds of the stick. Once you get to the final third of the stick, you'll find a still-smooth and even burn. Flavor continues to impress and never burns hot unless you get in a hurry. Enjoy the entire stick slowly and you'll be rewarded with flavors that are hard to find in any other smoke.